Posted quickly; be wary of typos. The press conference ends and all the reporters ask the VP how long they will strike, why did they decide to do it and all those things. The VP tries to answer it all but it is complicated so he explains a bit as he walks and talks about patients suffering and all those things. KA comes down the stairs as he talks to these reporters, they both notice each other. Int he ER room, the nurses talk about “some” but one of the nurses does not know what she is talking about. It seems like this nurse has no idea about personal life or anything, perhaps she only works all day. They start to check online about there hospital and see that there are news articles up already. The news says that it is all a misunderstanding. Cut to SH in his office explaining what he will say later. it is not about the CEO, it is about how inefficient the medical field is. But, we did an analysis and we found a sad bit of news…. So it looks like SH’s strategy is to talk about the deceased person and how they contacted the family members right away and are trying to fix all of these things. We promise that the strike will not happen. he looks out his window at the lobby of the hospital. SY is in his office with a headache. He read the news which is all about the mistake in the pharmacy where a patient was killed. 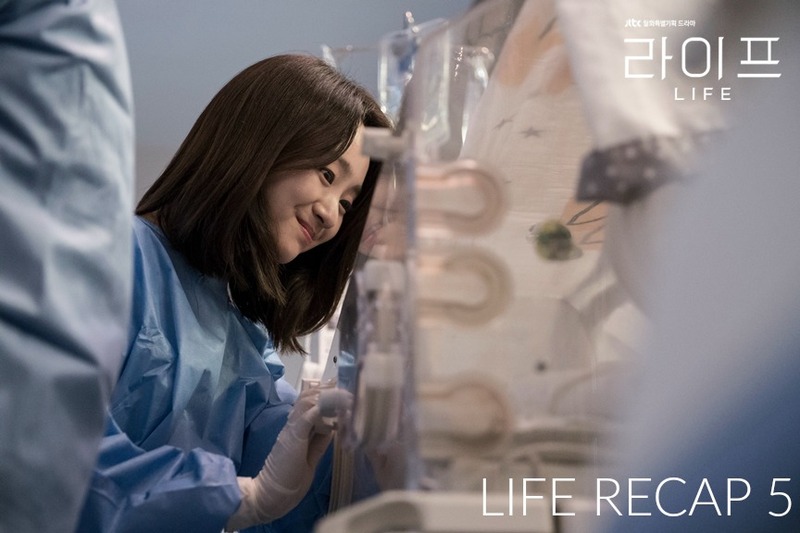 Elsewhere, Noeul is busy at her desk with JW waiting for her as she talks to different people on the phone and flips through paperwork as well as computer work. She has a lot of patients to handle but things are all messed up. JW asks her why she is taking care of the residents, what about the fellows? Why are you doing all the work? NE tells him that they will be short of hand when they go to Gwangwando, so she is just doing all this now. They decide to go eat something. NE tells JW that she is supportive of the CEO, there really are too many people in Seoul and their field will collapses. JW says that if he just wants to correct that then it is okay, if you volunteer then it is different. But…everyone can leave but not you…you are…you are on call today. She sighs as if remembering that she has a lot of work to do and walks off. JW goes to the Pediatric chief and stands ridiculously close to his back. The chief is all like, um, why are you breathing on my neck? They start to talk about the changes int he schedule and who made them. JW is basically bringing up NE by not bringing her up. He wants to know why one person is working on it all? The Pediatric Chief says that he never heard another fellow talking about his friend doctor that is having a hard time. Aren’t you on call? Cut to someone cleaning up for surgery while someone voices over. This person is thinking about what SH put online. he remembers what someone said over dinner, maybe if they are on strike then SH will not just sit around. he has a big heart now. This person looks like TS, he keeps cleaning his hands as he thinks about it. He thinks back to when Another doctor says that they can’t just kick out the CEO, what if they get a worse one? The doctors all talked about kicking out SH first, then worry about who will be next when that time comes. They have a lot of connections as well. they worked on a lot of important people in their hospital. he goes into surgery and gets to work on a patient while all of this in going through his head. he thinks about BH while he is cutting into someone. BH said that they need to have a blueprint but they have less than a certain amount of days. they need to move and make a deal, his brother in law said that he is not an easy guy, he is not even 40 but broke the transportation union right away. Everyone is looking at you (BH) you should do something. Cut to someone talking during the surgery, there is an interview so the nurse asks the doctor if he would like to do an interview. the doctor kind of pauses and thinks about it. Outside, another doctor and her staff looks at the news. There is a magazine that talks about article 21 or something like that. They are looking into military corruption, this magazine is attacking a certain company which looks like it is the hospitals mother company possibly. OH thinks this must be why someone told her that. In the ER, JW goes to the desk and sees that someone sent the mortality of thoracic surgery to their phone(?). DS comes up and says that he would do the interview if he was as handsome as JW. The CEO has a counterstrike so you need to explain things in a way everyone will understand on why they are striking. DS also tells JW not to involve the mother company, they are all rebels at Article 21. JW starts to talk about the patients with a varicose vein that might have complications with anesthetics. DS takes that in but tells him that he should focus on the interview since he knows it well. Elsewhere in the hospital, KM is tired as he walks the hall, he looks at a sign and is sent into a flashback about how people keep him out all the time. they make things between their university only and don’t involve him. It looks like they are talking about the mortality conference, but none of those people respect him. One of the guys asks KM how long he will only do surgeries. They complain about how they are short of hands and they should not pick on them. Cut to KM looking up the hospital from the lobby while intense music plays. Meanwhile, the CEO is at his desk talking to KA and another guy about how this organization is very selfish. they will only think, If it isn’t me then it is okay. The man stands up and starts talking about how he is #4 in Korea, being in the big 5 means that you are doing well. A lot of other hospitals want to be in the big 5. SH says you can be thrown off the big 5 overnight as well. They need to charge more or cut the wages. KA asks what they are doing. They keep talking about how to save money. KA think that the surgery rooms are not efficient because the professors use two rooms so one room is not used sometimes. SH asks about losing surgeries. The man says that the patients don’t pay for everything and the insurance companies don’t give them everything. it is kind of like a factory where if you make more then you lose more. The only answer is to charge more tot he patients. Or they can do more plastic surgery. But that is more for smaller hospitals. Sh asks KA where she wants to put her parents when they pass away. The funeral house is not just a funeral, it also shows the wealth of the son and how much he cared about the parents. Those people who do not care about parents want to put them in a big hospital because it shows how much they care about parents (maybe for show only). So they should make the funeral part bigger. KA says that her kid had surgery but they had to pay whatever they asked. They asked if her son was sick, but seh said it was her dog, in animal surgery there is no price. This makes SH look at her with interest. KA then asks him if he wants to do the interview about that wrongful death. Cut to that news article about how the hospital killed her husband. Her face is covered. The woman says that they never would have known without the CEO, he is the one that told her. The doctors tried to cover it up but at least the CEo said sorry. I didn’t even know it was a medical accident. The government doctors office all watch this, it is #1 in search. The resident messed it up. it looks like they will have to look into it. SW calls his hyung about it, but JW is not picking up. SW googles the hospital strike but the search results are all about the wrong medicine. So it looks like the strike is buried. SW leaves work and meets with his mother. She happily hugs him and tells him to put on more clothing, people also die in the spring. She acts like a very loving and doting mother, the kind that annoys kids to death but the kids also secretly love it. She goes to her car and shows SW a lot of things that she made a lot of side dishes for him and his brother. She wants him to eat well. But SW tells her that she came from Europe so she should give them presents. They go to a cafe but it is too narrow and everyone looks at him as he goes by. Umma still smiles brightly at him and they get to start talking about her trip. her favorite place was Spain. She says that everyone is so handsome, they are all like movie stars. SW wonders if the ajusshi will not have funny, but she says there are a lot of pretty woman too! She laughs. They keep talking about her husband and how he wants to thank Jin-woo since his brother went to Jin-woo’s hospital with an intestinal problem, Jin-woo asked the doctor for a favor so the brother was treated as a VIP. Umma says it is the best to brag about her children with two doctor kids. SW is sent into a flashback and asks how hyung will be, what about the strike? But the images on the screen are all about Sun-woo studying at medical school and the mother waiting for him and doting on him after school. It looks like he hated it at the time, maybe it was embarrassing. SW tells her that things are not like it was before when BH was still alive. Umma looks sad and says that she should have called him or said hi to him. how can someone die like that…? Did you go to the funeral? Yes of course I went, not with my husband but by myself. SW asks if they should call hyung, would it be impossible? SW calls him, but he says that he has an appointment. Umma looked hopeful that he would have said yes, but tries not to let it get to her. She keeps having fun with her son and he also has fun with her. JW is actually in the middle of an emergency, there must have been a bad accident because blood is everywhere on this one person. His legs are all bloody but they also call the THORACIC department. JW asks for a CT and blood test and blood transfusion. he gets to work. KM will be available in one hour. they all work steadfastly over this patient. His pressure drops and blood splatters all over the floor. JW is covered in blood. Meanwhile, SW rides the bus home, but the bus slams on the breaks which sends SW into a flashback about his accident. We basically see the entire accident and aftermath in painful detail. But the scene is not long and drawn out. SW gets out of the bus and holds the package that his mother got for him. then he looks up at the night sky. JW sits exhausted in the ER room. Km is available so he will get started on the patient right away. JW checks his watch, he is over on the time. It looks like he has a meeting with the reporter. he goes to the lobby to meet her, but sees his brother sitting there and looking at her things. JW tries to ignore that and goes to introduce himself to the reporter, but he has to pretend like his brother is not there while he is very much so right there to him. The reporter is Choi Seo-hyun. it looks like JW might be smitten with her right away. he apologizes for being late. Choi sees the small traces of blood on his hands and we are sent into a flashback of her getting to the interview and being shown that JW is in surgery. She bought a small cake for him and smiles as she asks how the surgery went, you don’t think i would just wait for one hour for anyone would you? he asks if he can buy a coffee, is that okay? She says it is fine so he goes to get his coffee. His brother tells him that she is pretty, she also looks familiar, you should ask her if she is familiar. But JW just tells SW to go away as he looks at the very pretty reporter Choi. NE and another doctor walk down the hall with a lot of paperwork. the other doctor grumbles about SH and all these things that they have to do. But NE says it is fine. The doctor says that there was only one vote against the strike, was that you? NE is all like, hahaha, I don’t favor anyone. She gets to her desk with all the paperwork and sees a sandwich and a drink. She thinks that JW might have given it to her. She drinks the drink and wonders if SH is really a pit bull. Meanwhile, JW is giving the interview when he gets a text from NE thanking him for the snack. he checks it and then gets back to the interview. he tells her that doctors are different from factory workers. Surgery can cost $300 to $1000 for the same surgery. the reporter asks if it is all dependent on the doctor? It looks like it is because JW says that the CEO wants to make it all the same. She asks him if they have a lot of medical problems like that from the CANCER center. You can’t just blame management. is there a lot of medical malpractice? JW is quiet about that. the reporter tells her that there are moments when they ask embarrassing questions and the interview stops. The interviewee is a bit hesitant. i don’t think an aggressive interview is a good interview, but not answering is an answer so sometimes I ask questions that you will not want to answer. Cut to WC and SH talking about the same thing. WC is explaining it to SH. WC – There are three grades, how dangerous it was, by doctor it is the wrong prescription, by nurse it is the wrong address, by pharmacy it is making the drug and there are also residents. SH – Wow, that means it happens a lot. So it is all internal. So how bad should it be to make it public? Do you never ever reveal it? WC – No one knows. he hits him with the paperwork, but it is playful. WC says it is not him, you are the ones with the profit, why do you care about the medical malpractice? SH – I have to catch quality and profit, both of them. The interview is over. Choi tells him that she can give him a copy before it is released if possible. JW says that is nice….maybe….you met me once before? She says that is such a cliche comment. he tries to say it is not like that, i really think I saw you before. Choi thanks him for his time and leaves, but she notices a lot of blood on his shoes. Int he CEO’s office, NE knocks on the door while WC is there. They look at the screen and see that it is NE. SH turns off the light inside and opens the door which bumps NE’s head. She tells him that she is pediatrician Lee Noeul. he is all like, okay, and starts to walk away. She runs up to him and says that he has not seen the Pediatric department where she works yet, you should come, it will help you understand us. he looks at her for a moment and then follows her. This allows WC to leave unseen. NE walks Sh down her hall to the pediatric department. They walk quietly and the hall is quiet as well. A little girl walk the hall with her nurse. they keep waling. They pass an area where some kids are crying in their rooms but they do not see the kids. There is also a mother looking so sad and depressed in the hallway. But they turn to go another way. They keep walking, but a little boy asks NE when his mother will be there. NE speaks to him and tells him that it is so dark so she will come tomorrow. Then she helps him back to his room. But the same kid comes out and asks the nurse when his mom will come back. SH asks what that kids issue is. he has pneumonia but they cannot contact the parents. the mother came at first, but is not coming now. he does not cost too much because he does not ned too much care so don’t worry about that, we will move his soon. They go into the room where they were going to to begin with. NE instructs him to wear booties and sanitize himself int he corner. They go to the NICU unit to look at the very tiny babies that are holding on to life. they are so tiny and cute and cared for. SH looks around while NE asks the nurse about the care of the different babies in the NICU. It looks like SH’s heart is growing 3 sizes. NE comes to him and says that the mother had complications, they almost lost the baby due to low oxygen. She reaches her hand into the crib and lets the tiny tiny baby hold her finger. SH really looks like he is Saul turned to Paul in this moment. though his face magically stays stern and un emotional. Another nurse brings a baby to a mother so she can hold him and possibly feed him in Kangaroo care. NE tell SH that they started this kangaroo care a few years ago. Before this they did not touch each other at all. this is the first time in 72 hours that the mother and child have touched each other. This is for the babies that are born weighing less than 2.5 kilograms. it is the most sensitive part of their center. All the areas are sensitive, but this area is the most sensitive. NE is called away to a phone call about a patient. SH tells her that he is leaving. NE is able to complete her call and then runs out after SH, but he is walking out of the center so fast. NE wonders if she should not have done this, is he really a pitbull? SH keeps walking out, but passes the little boy in the hall who is crying without his mother. He asks SH why he does not ask him about his mother. But the boy just says…my mom? my mom? and starts crying so much. SH does not know what to do. But then another woman comes up and hugs him and pulls him away lovingly back into his room. SH tries to take all that in but it looks like he is having a difficult time doing it as he hurries out of the PEDIATRIC department. He grabs his suitcase and then walks all the way outside as he waits for his car to show up. he looks contemplative as he waits and then gets into his car. They stop at a light which makes SH notice a little girl sitting in her car seat. he thinks she looks amazingly cute as she sleep in the back and actually smiles a tiny bit. Meanwhile, SW is chilling at home as he watches a TV show about the inside of the ocean. JW gets home and sees all the side dishes which are all his favorite side dishes. SW tells him that he saw the article about the hospital, mom saw it as well and worries about you. She also went to BH’s funeral. JW says that their mothers job is to worry. They talk about BH and their mother, SW thinks they should have married but JW says that he was a married man and also was not Mom’s type. SW regrets things about BW and Umma’s relationship. But the two brothers end up just watching TV and relaxing together. SW tells him to eat, she made all those side dishes for you. JW gets a text message and checks his phone right away, but then he looks disappointed (perhaps it is not from the reporter). He pulls her out business card and plays with it. SH gets home to a sleeping mamma. His mom is sleeping in front of the TV. He smiles when he sees her and tells her that she should go in her room and sleep. Umma says she is not sleeping and your father is snoring. SH just looks at the bedroom and then gets under the covers with his mother. he asks his mother if he was sick a lot when he was little. Umma says that all the kids are sick when they are little. But then she sits up quickly and asks if he is sick. he sits up as well and says no, but she surprised him. She lays back down again and tells him that his hospital is int he news again. He starts to talk to her about it, but she fell right back to sleep. SH stretches a bit and then pulls out his work to keep working. He rolls over and reads about anesthesia shock. It ends with an adorable shot of him working while partially under the covers with his mom as the TV is on. Doctor meeting about a varicose vein surgery death case. JW gets into an elevator with KM. At first they don’t talk to each other, but JW asks him about doctor Yang, where is he? KM says that this is unprecedented. This hospital – nothing is normal. A table death for a varicose vein? They go to the meeting to talk about this case. JW starts first and starts to talk about the patient that came to the ER, they were in big pain and could not walk. But he stops talking when a door opens at the top of the room. Everyone looks back and sees SH walk in. The doctors whisper and grumble about how SH does not understand anything. he does not understand and yet wants to show up. JW continues, he transferred the patient to the thoracic surgery department. That patient was on medication. She stopped taking the medicine 4 months prior so he wrote that in the charts (or something like that). the patient died with an allergic response – Anaphylactic shock. they talk about the series of events that led to her death and what they tried to do to ameliorate the situation. They go through all the details about the blood pressure and heart rate and all that. She never had any surgeries so ER did not know about this and the hospital did not know about it either. Her air pipe was closing so Dr. Yang added dopamine, but she has a heart attack after 20 minutes. (this guy seems guilty of something). They ask Dr. Yang to tell us his treatment for her. He says that they did not find anything wrong from their blood test, they diagnosed it as anaphylactic shock. SH raises his hand and asks why they used an IV. Is it protocol? you should do intramuscular not intravenous. Everyone looks at SH like, whaaaaaaaaaa…how does he know that? One of the doctors asks yang why he did not do intramuscular? Yang tries to explain it. he did not think Intramuscular would work, so he did intravenous. SH speaks up, so you decided to do this? They asks yang who ordered the IV. Yang is hesitant to say but then says that he is the one that did it. The CEO feels a little strange and so does KM. What happened tot he patient after that? All the doctors hang their heads. Km speaks up and asks what the percentage of anaphylactic shock? The answer is 1 in 10,000. KM tells the main doctor asking questions that he left his position at his old hospital because he lost a patient. The hospital he was sent to help…he saw how the medical institution was destroyed and saw a lot of postings and people not working hard, wasting tax money, and being unkind. There were a lot of internet posts about how bad the public medical institution is so the agreement was to close the hospital. These doctors need to remember this more than anyone. A lot of people need to come to these hospitals. the first reason to kick patients out of hospitals is the economy, they lost 3-4 million dollars every year, that is all money and it is all tax money. Do you know how much of a budget Gagnam province is? 12 billion dollars. It is 0,025 percent the total budget of Gangnam, i always wanted to ask, do you really want to save that much money? Do you really want that much? I acknowledge that public hospitals have issues, but we can change it. We had a chance to fix it, but it was that last chance to fix it (I think this case really happened before). KM addresses the CEO and tells him that the thoracic surgery department is always short at hand. The young doctors go to easy money making departments, but not all of the young doctors are like that. So why do we have less than 20 doctors doing thoracic surgery? Because hospitals don’t give money to thoracic surgery because we lose money. The hospital does not hire them so there have no where to work. But we still do our surgeries. Even if we are blamed as doctors killing patients with a 1 out of 10,000 possibility. Yang takes a gulp on the stage and so do some of the other doctors. OH stands up and turns to look at SH, she glares at him for a moment. SH stands up and looks at her. Everyone looks interested in this moment. But it ends here. This episode really made SH seem like the Grinch who stole Christmas whose heart grew 3 sizes. I also love how we got a tiny glimpse into his home life as a doting workaholic son who still likes sleeping under his mothers blanket while he continues to work. Poor thing looked like he was about to explode with emotion in the NICU had he stayed one moment longer. I kind of love that about his character. Where is ep 6 live recap. Not caught up yet! Life is a serious show to get through with a recap and we are still one episode behind.